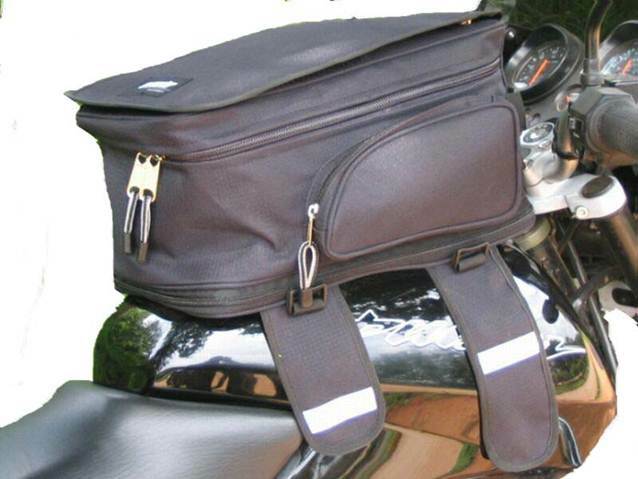 Cramster Turtle - Magnetic Tank bag review | IAMABIKER - Everything Motorcycle! Fits: All Motorcycles – Universal Fit. Additional pockets for quick access of Cameras,Lighters, gloves etc. Flap – Transparent sheet slide to keep Maps, stationary etc. Rain Cover to protect your fragile stuff during heavy rain. Shoulder Sling makes it double up as an office bag. 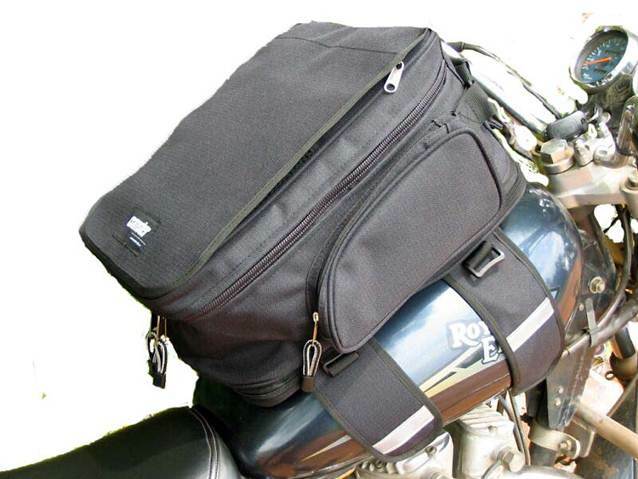 The Cramster Turtle Magnetic tank bag is definitely one of the must have’s for any biker that tours. Its probably the first to the market couple of years back definitely one of the good ones out there. I personally have been using this for the past 2.5 years and again this has accompanied me through a lot of terrains and weather and come out through it perfectly fine. The bag spacious enough for about two days worth of clothes, a camera and other small stuff’s that can go in the pockets. The opening flap on top can hold a map. In case of rains there is a rain cover that can be put on the bag. A few short comings might be the fact that the rain cover is not big enough to cover the bag once its fully loaded, with expansion zippers are also released. Another small niggle that could be sorted out is the fact that it only comes with a strap. If it had straps that could double and make it a shoulder bag of sorts that would have made this bag perfect. The magnets provided are amazingly strong and require a lot force to dislodge once in place. I once even had a crash and it did not move an inch! Care should be taken though as the magnets attract small pieces of metal and can scratch the tank. A cloth over the tank before the bag goes on or regular cleaning of the magnet area would keep the tank scratch free.